CemMap Cemetery Mapping has been important part of Legacy Mark’s product line for many years. It is a true Geographical Information Systems (GIS) mapping system that is customized for the cemetery industry and that has been built upon the industry leader in end-user GIS development systems. 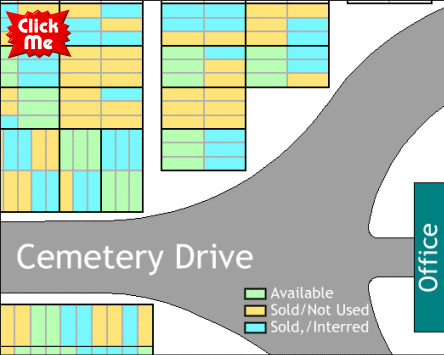 It is packed with all the power of GIS mapping with only the features that you need to run your cemetery. Other systems make you pay for a full-featured GIS system when you only will use a few specific features. Not CemMap. It has been specially designed with the help of cemeterians to have all the tools you will need and nothing else. That is, you get all the benefits and you only pay for what you need and use in a cemetery. We proudly offer the best mapping solution for cemeteries. 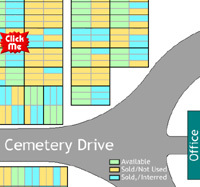 GIS is ideal for cemeteries because they combine a high quality, accurate on-screen map with a database. That means that you can view a grave on the screen, know it’s status by its color code, read the owner/occupant name right on the grave and click on it to see more data. It is an ideal tool to help you manage your cemetery. Supports Single workstation and multi-user network installations. Industry Standard and Customer Specified language, icons and themes are used throughout the mapping system so users are familiar and comfortable with the system quickly. CemMap Cemetery Mapping is a pure Windows application with familiar Windows menus and screens, which makes it fast and easy to learn. Single Point of Entry for data. 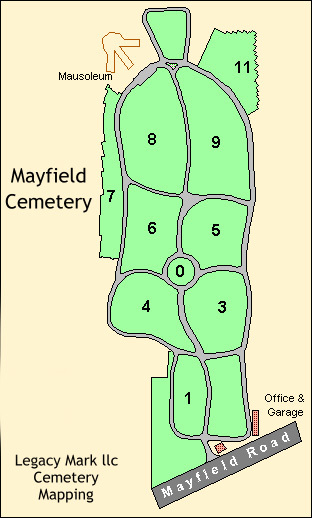 The map collects its information from the Cemetery Office Management system, so any entries or change made will be updated on the map automatically. CemMap Cemetery Maps detail all of the features of the client’s cemetery and track data to each item. All roads, paths, monuments, sections, blocks, lots, graves and buildings are digitized and electrical, water, drainage, etc can be added. Mausoleums, niches & columbariums are detailed with the same precision and flexibility of in-ground spaces. Locate Clients on the mapping system by simply clicking a button! 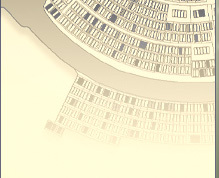 The client’s graves are highlighted and the system zooms right in on these graves. Inventory Management (Sales) is greatly enhanced by the color coding of the grave spaces. The green graves are for sale, it’s that simple! Review availability before you walk the grounds. Legacy Mark starts with Hi-Resolution Satellite images of your cemetery and builds your map system using your paper maps, CAD files, Raster images or plot plans. Merging the Satellite information with your existing details produces a better map with better information in a superior digital format. 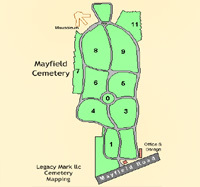 Legacy Mark Can Create a Map of your cemetery with our GPS digitizing and data collection service. Our technicians will come to your cemetery, locate the headstones with hi-res GPS equipment, collect the information from the headstone, and produce a final map system with your headstones accurately located and the data already implemented. You just start using the system the day it is delivered. Add New Sections and/or Graves at any time. Send us your details or ask us to design for you. Print Maps for your office wall or your daily use on paper or durable vinyl in any size and detail you would like.